Be a global airfare marketplace that offers the best airfares originating anywhere in the world and thereby delivering customer satisfaction combining unmatched service levels, technology, automation, talented & skilled people with the commitment to client profitability. Rajeev Kumar G is an expert in the travel industry with over 15 years of experience covering Technology Development, CRM, Outsourcing, Process Management and Travel. A Computer Science Engineering graduate from Bangalore University, Rajeev has worked in various capacities in India, UK, Europe and North America. He has also provided consultancy for leading players in travel and hospitality sectors across the globe, including North America, Europe, Singapore & Australia. With a vision driven by technology, a strong business acumen, and passion for the travel industry, Rajeev founded Mystifly in 2009. In a short span of eight years, he has steered the business to operate at a global scale with a customer base spread across 70+ countries. Mary Li is a seasoned travel technology professional with a proven track record in leadership. She is a first-generation entrepreneur with over fifteen years of holistic experience in international air travel across Operations, Sales, Online Products and Technology. A graduate in International Trade from Jilin University, her expertise lies in Business Development and Growth Strategy. Mary’s portfolio is testament to her proficiency in the Travel Industry. She founded and served as the COO of ASLAN Co. Ltd. - China’s first data-driven travel technology company. The company was later acquired by Alitrip (Alibaba's online travel market) where she functioned as ‘Head of Air Tickets’. Under Mary’s leadership, her team rolled out the very first mobile app platform for air ticketing in China. Pawan Kesarwani comes with over 13 years of experience in Corporate Finance, Strategic Planning, Financial Analysis and Investor Relationship. He holds an MBA from the prestigious University of Oxford and is a Fellow of The Institute of Chartered Accountants of India (ICAI). He has diverse experience as an entrepreneur, consultant and employee in Manufacturing, Power, Retail and E-commerce sectors and is adept at Finance & Accounting, the gamut of Domestic and International Accounting, Direct & Indirect Taxation and Financial Control & Management. Vivek is responsible for driving end-to-end strategy for Mystifly’s global Growth goals and overall Demand Management. A Computer Science Engineer and an MBA graduate from the Indian Institute of Management, Bangalore, Vivek comes with nearly 10 years of experience in various roles ranging from Technology Development, Strategy & Operations, consulting with complex projects to online distribution of travel products, especially in Hospitality and Hotels sectors. In his last role, Vivek was heading the Online Sales & distribution channel at Treebo. Prior to his MBA, Vivek has served large clients in EU, in Investment Banking & Automotive Financing space and has won team awards for highest client satisfaction. Jaspinder holds an MBA in International Business as well as a Bachelor’s Degree in Electronics and Communication Engineering. 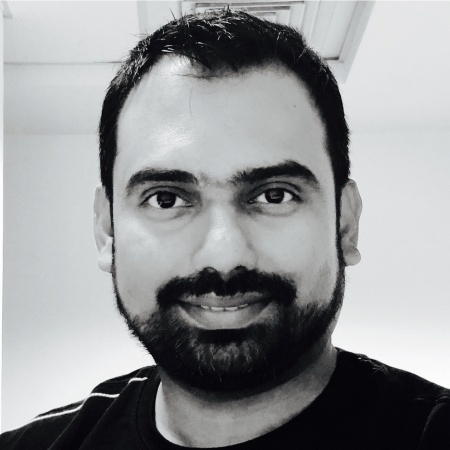 With 8 years of experience in various roles from Software Development to Consulting and Data Analysis, he has worked in IT/ITES companies including Wipro and Infosys. At Mystifly, Jaspinder manages the Data Labs team. He enjoys writing code and unravelling the stories behind numbers and statistics. His focus at Mystifly is to employ cutting edge technology and research to churn deep insights from data sets. Srinivasan is responsible to drive Operations for the global market, ensuring world class services and customer satisfaction through Operational Excellence and Strategy. A double graduate in Hospitality Management from Florida International University, USA and IHM-Bangalore, India, he comes with a career span of over 18 years in various domains, primarily Hotels, Client Services, Travel and the eCommerce space. His experience includes 10 years in a senior management role driving Business Strategy, Business Development & Sales, Operations and P&L management. In his earlier tenure, Srinivasan has worked with prominent organizations like Florida International University, Loews Group of Hotels and a failed eCommerce start-up, Stayzilla. Sumon Mittra manages Program Management and Service Delivery in Mystifly for global customers. Sumon has about 16 years of experience in Account Management, Operations and Customer Service, primarily in the travel industry. He has managed large global customers and has been instrumental in implementing online tools, process optimisation for improved service delivery and cost saving initiatives for organisations like Carlson Wagonlit Travel in the past. Sumon's expertise lies in ‘Global Information Security’, ‘Art of Leadership’, ‘Value Based Selling’, with exposure in the B2B & B2C portal environment. He has won several accolades in his career including highest ‘Revenue Achievement’ and ‘Customer Retention’ amongst others.